Are you looking for creative thinkers and innovative problem-solvers? It's time to think outside the box. The Employer Disability Information (EDI) service will hold its first event on Tuesday 27th March in Croke Park, Dublin, in partnership with Hays Recruitment and the Irish Wheelchair Association. 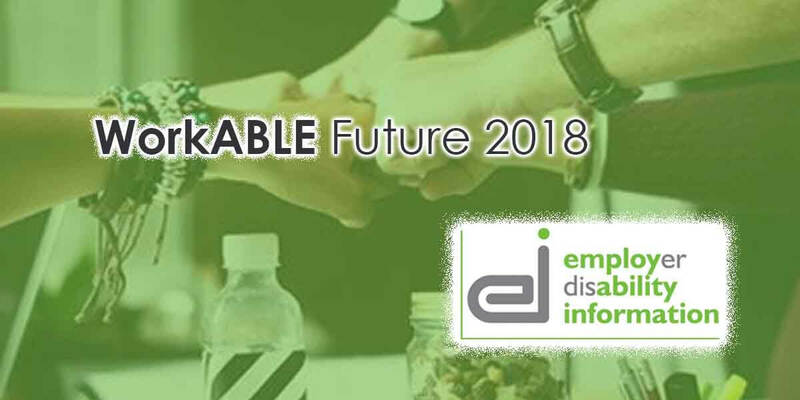 The WorkABLE Future 2018 event aims to spark conversations about how diversity and disability can benefit your organisation and what supports are available to access an untapped talent pool packed with ability. As the Irish labour market approaches full employment, employers’ focus is on growth and attracting skilled, new talent while also retaining older, experienced staff. The only way to survive in this modern business world is to reject our old ‘one size fits all’ approach to hiring and embracing diverse recruitment. Investment in diversity and inclusion helps many companies attract and retain top talent, while also increasing their sales revenue and public brand reputation. Attendees will benefit from the insights of Diversity and Inclusion professionals who will inspire and engage on the topics of disability and diversity. There will be information available on the day regarding financial supports and incentives for recruiting jobseekers with disabilities. The keynote speaker, Paul McNeive, was managing director of Hamilton Osborne King when the firm was sold to Savills for €50m. Paul started his career as a trainee in the basement of the firm and not even the loss of his legs in a fire prevented him from rising to the top position to lead 250 staff.